I was fortunate to have Friday, Saturday, and Sunday off for my weekend, so I invited a couple friends to come down from Sacramento on Saturday. That meant I spent pretty much all day Friday cleaning. I also shifted enough stuff around in the storage room master bedroom to squeeze in the spare desk and gaming computer from the living room, so it feels much more open around the sofa now. I had a nice visit with my friends on Saturday, and they spent most of the day playing board games with me, mostly to refresh their memories of the rules. This past week has been the peak of my fig harvest. I put away three quarts of them in the freezer (using up the last of my available quart jars) and gave away two bowls of them to the neighbors, and I still had a couple more bowls of figs taking up space in the refrigerator. I can't eat them fast enough. I decided to look for another recipe in one of my cookbooks that would help use them up, preferably something I could take to work on Wednesday for a potluck celebration of another beagle's 10,000th seizure. While paging through a book of German cuisine, I came across a cake recipe that would use two pounds of fruit. However, it also called for four cups of quark (a soft cheese similar to sour cream) that isn't readily available at my local grocery store. I decided to try making it myself from scratch, using cultured buttermilk as a starter. I spent a while on Sunday preparing a gallon of milk with the buttermilk starter. While that sat around culturing, I also used a nice apple from one of my trees to bake some apple cinnamon bread. 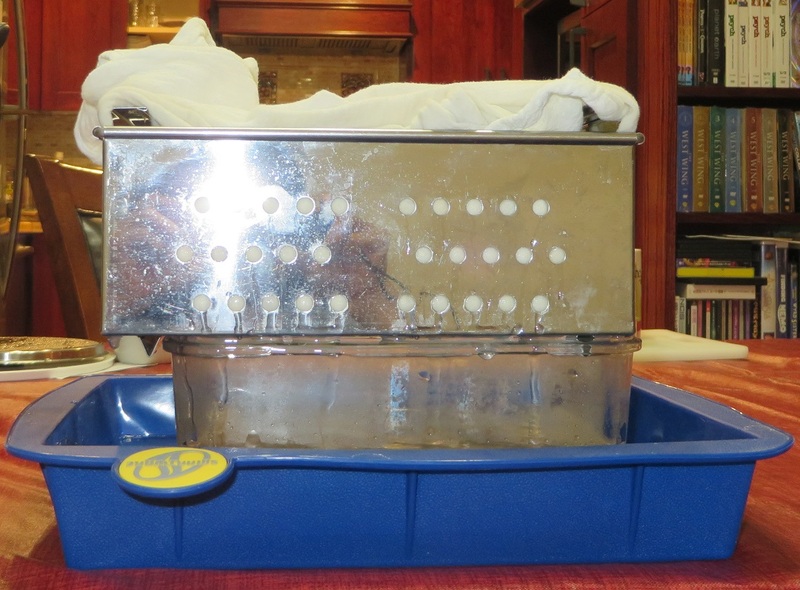 Monday morning, before leaving for work, I transferred the batch of buttermilk to my tofu press to drain out the whey. I tried to capture and save as much whey as possible, because I'm hoping to try my hand at making a whey cheese (such as mysost). After I got home on Monday afternoon, I worked on baking the cake. The crust is essentially a yeast sweetbread dough rolled out flat. That is covered with the quark cheese layer, then the chopped fruit (the important part! ), then topped with a sour cream custard layer. Tuesday evening I took a break from all this cooking and went out to a boardgame meetup. What with all the potlucks we've been having at work lately (this is the FOURTH in rapid succession), I feel like my kitchen is under siege. Anyway, we had the party at work today. The quark fig cake turned out...edible. Perhaps it's a difference between the traditional German palate and my American one, but if I ever made this recipe again, I would double the sugar. The sour cream flavor was stronger than I expected for something called a cake. Testing new recipes for a potluck is a tricky business. I always feel bad when it doesn't turn out like I hoped. I'm impressed by your cheese making, though. 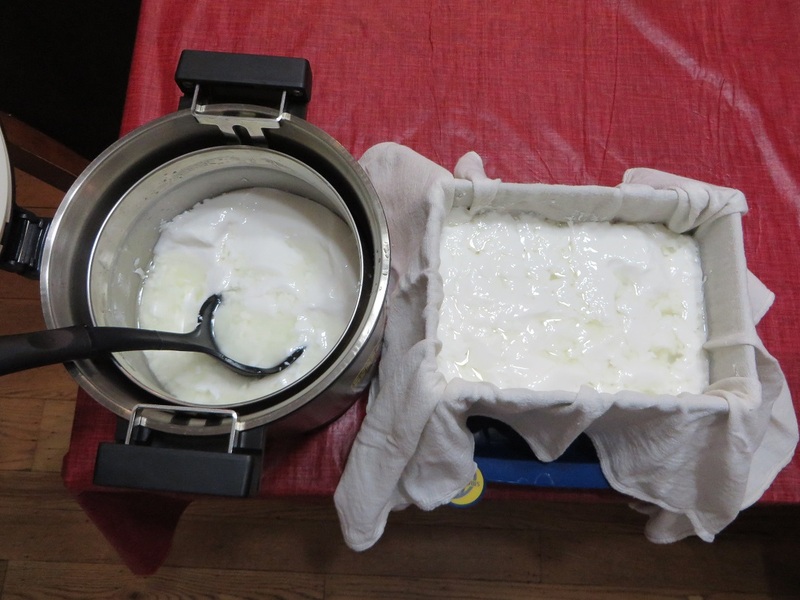 Did you ever try making any of those nut-based vegan cheeses you got that recipe book for? Did you ever try making any of those nut-based vegan cheeses you got that recipe book for? I haven't yet, because I keep waiting to do it when megory is here. I think about it a lot, though. Was fig the fruit originally used in the recipe, or were you improvising? Sounds like it will be very tasty on the apple cinnamon bread! With all the potlucks, your workplace sounds pleasantly social and chummy. 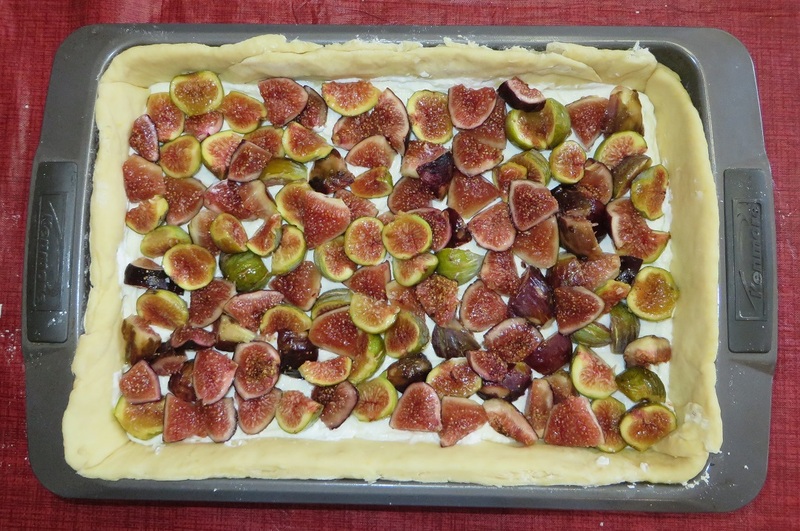 Was fig the fruit originally used in the recipe, or were you improvising? It said, "Two pounds fruit (e.g. apples, plums, rhubarb)" so I figured I could substitute pretty much anything. Sounds like it will be very tasty on the apple cinnamon bread! As it turns out, it's not bad at all. It's kind of like eating a raisin bagel with cream cheese. Agriculture Specialists just can't resist any excuse to party. I figured I could substitute pretty much anything. I was wondering if the recipe called for something sweeter than figs, but I don't think any of those fruits are, so...more sugar!